So you have the passion but now you need to sell your products. While having a physical storefront may be your first thought, an online store gives you a wider audience, and that helps increase sales. While a business may have an online presence via social media, those spaces exist for promotion, not for selling items. Building an online store gives you a new e-commerce platform to engage with a wider consumer base and increase your selling potential. So what is keeping people from adding e-commerce to their online presence? Alfredo Palmer, the owner of Age of Beard and winner of the Wix contest that won him an ad starring NBA champion Shaquille O’Neal, knows that while building an online presence was not the first step he took, it was one of the more important ones he made. Since turning his idea into a reality, first selling his men’s grooming products at a local farmer’s market stand and now having an online store, Age of Beard now attracts global customers whom he would not have reached otherwise. Here are some tips that can help small business owners build their online store. Before you begin to design your website, you first have to identify your buyer segments, the audiences that are likely to purchase your product or service. By researching and understanding their wants and needs you can tailor the suite of tools you will use on your website and how to best communicate with your customers. Not only will you be better informed as to what changes you may need to make, but it will also inform you as to how to better reach your customers through marketing initiatives. If, for instance, research shows that your buyer segment most often checks personal email in the early afternoon, then with email marketing you can time and send stunning emails from your store quickly and effectively. Wix has a built in email marketing tool, ShoutOut. Other ways this will help you is by knowing how well this audience responds to sales and promotions, helping you better manage specific economic factors that will impact your bottom line. 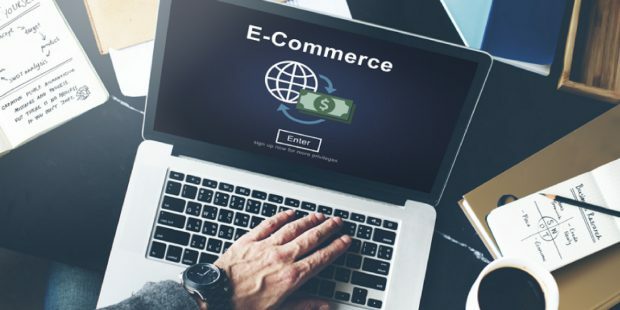 #Entrepreneurs, 3 key factors to building a successful #ecommerce #webdesign. Building a stunning online store will increase your user experience and impact trust levels. When potential buyers see a polished web design their brand trust increases, which ultimately impacts sales. By using your buyer segment research, you can begin to create a stunning website design. What is the main purpose of my store? What design elements are required for my business? How will my site appeal to my customers, and will it keep them engaged? These questions will help you choose the best template for you as well as the images and content to include on your site. As you build your e-commerce site, you will begin to design a website that works to improve your customer experience. An online store is more complex than what the customer sees. Most of the store’s functionalities exist on your dashboard where inventory, shipping, payment, and email marketing are controlled. Wix enables users to better manage their online store with pre-programmed integrations that include tools on your dashboard to make it easier for business owners to manage and update their product fulfillment. Alfredo’s ability to manage his business from the back end gives him a one-stop shop to track orders and adjust in real-time to the needs of his consumers. In conclusion, with platforms like Wix, you see how easy and fun it can be to build a stunning e-commerce site. By understanding your buyer segments, you can more accurately integrate apps and information that will help you guide your buyers through the purchase process. Adam Wozney helps large and small brands across the United States amplify their messages through unique marketing initiatives. Growing up in the Midwest and studying visual communications at Brown college, Adam adheres to design thinking methodologies. Civically engaged and forward thinking, Adam builds scalable programs that engage across cultures, channels and organizations. From branding and PR to advertising and events, Adam has contributed to and built multi-million dollar campaigns as well as grass roots initiatives. Previously from Google, Adam is currently is a Strategic Partnerships Manager at Wix.com - a free, do it yourself website builder and small business management platform.